Since 1998, The Women’s Foundation has been fortunate to work with over 160 community-based organizations working to improve the lives of women and girls across the Washington region. Below are the Grantee Partners we have worked with in the past three years. *Denotes a currently funded Grantee Partner. Grant Purpose: To provide year-long professional development opportunities for early educators working with young children in select at-risk communities in Montgomery and Prince George’s Counties. Ready at Five is a self-sustaining, board-designated program of the Maryland Business Roundtable for Education. 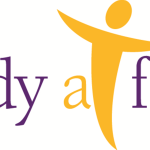 Ready at Five was founded in 1992 in response to the first National Education Goal: "All children will enter school ready to learn," and is dedicated to elevating school readiness for all Maryland children. For over two decades, Ready at Five has worked at the state and local level as a resource to advance high quality early childhood education in Maryland, providing guidance, research, professional development and data-driven solutions for early educators, families and communities. Grant Purpose: To support the Center for Employment Training, which will prepare low-income women for careers in the health care and building maintenance industries by providing job training, basic education, career development assistance and supportive services. SOME (So Others Might Eat) exists to help the poor and homeless of our nation's capital. They meet immediate daily needs with food, clothing, and health care, and provide services including affordable housing, job training, addictions treatment, counseling, and services for the elderly and people with mental illness. SOME's Center for Employment Training (CET) helps prepare individuals for living wage careers in high-growth fields through marketable skills training, human development, basic education and job development. Intensive case management helps address multiple barriers to employment, and women graduate from the program with a post-secondary certificate, an occupational credential and skills that enable them to launch successful careers. Grant Purpose: To support key staff positions that will build the organization’s capacity to deliver workforce development programs to women in Prince George’s County. The Training Source provides workplace development and community-based programs in Prince George's County. Programs include employment training for unemployed adults; a youth leadership program for at-risk 10th-12th grade students; a life and employability skills training program for developmentally disabled youth; weekly life skills workshops at homeless shelters; a professional clothing closet for job seekers; and social service application assistance for low-income citizens. Grant Purpose: To support young women in the High School Internship Program, which provides work experience, mentoring and life skills training, and is the only year-long employment program for high school seniors in Washington, DC. Urban Alliance’s mission is to empower under-resourced youth to aspire, work, and succeed through paid internships, formal training, and mentoring. The overarching goal of the organization is to equip youth to successfully transition to the working world. The organization combines four programmatic elements: year-round professional, paid internships; mentoring from an adult professional; case management from an experienced youth development professional; and trainings focused on college and career skills. Urban Alliance was founded in DC in 1996, and in 2012 became a national organization; they retain a DC team that will serve 165 DC high school students this year. Each Intern gains up to 675 hours of professional work experience and more than 90 hours of life skills and work-readiness training. Grant Purpose: To support advocacy that promotes policy changes in early childhood that cover the birth to eight continuum at the local, state, and federal level by connecting and aligning policy opportunities at all levels and mobilize stakeholders, especially providers and parents, to weigh in on policy decisions. Established in 1994, Voices for Virginia's Children, a member of the national Voices for America's Children network, is a statewide multi-issue children's policy research and advocacy organization. The Northern Virginia office was established in 2006 to focus on the particular needs of children in Northern Virginia. The organization works to ensure that policymakers, stakeholders and advocates understand and respond to the needs of the Commonwealth's children, especially those who are disadvantaged or otherwise vulnerable. Grant Purpose: To support the implementation plan for the Washington Region Early Care and Education Workforce Network by mapping competency-based career pathways that are linked to quality and compensation and can be used across the region. In April 2015, the National Academy of Medicine and the National Research Council released a report, Transforming the Workforce for Children Birth Through Age 8: A Unifying Foundation, that detailed recommendations for how to transform the workforce and systems that serve children from birth through age 8. To catalyze the report’s recommendations, the National Academy led a national implementation network of states across the country working to implement recommendations from the report. The Washington Region Early Care & Education Workforce Network formed as one of the initial state networks, representing different sectors in early care and education across the region. Grant Purpose: To support regional professional development opportunities for early childhood teachers through the Wolf Trap Institute for Early Learning Through the Arts, an art-based learning model that is easily replicable in diverse settings and enhances emergent literacy and STEM concepts. The Wolf Trap Foundation creates and selects programming; develops education programs; and handles ticket sales, marketing, publicity, and public relations for the performing arts center. The Wolf Trap Institute for Early Learning Through the Arts is an internationally respected program that provides innovative arts-based teaching strategies and services to early childhood teachers, caregivers, parents, and their children from zero to five through the disciplines of drama, music, and movement. Wonders creates and advances diverse learning communities that teach the foundations of life-long learning and social responsibility. The Equity in Early Learning Initiative is a partnership among Wonders Early Learning + Extended Day, The Campagna Center, and School Readiness Consulting. It seeks to develop best practices in early childhood leadership, teaching and learning, and family engagement around equity-focused practice, and to develop a clear agenda to elevate the DC metro area as an early learning model for exemplary work in equity leadership and social justice education at the programming, systems, local policy, and state/national advocacy levels. Grant Purpose: To support young women, ages 18-24, with education and workforce development training, including up to 18 college credits, job skills development, and a six-month internship. Founded in Boston in 2000, Year Up's mission is to close the "Opportunity Divide" by providing urban young adults with the skills, experience, and support to reach their potential through professional careers and higher education, while simultaneously providing companies with a pipeline to a new source of pre-trained, entry-level talent. 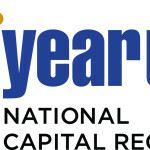 Year Up National Capital Region welcomed its first class in 2006. The program offers hands-on work experience in a corporate environment and college credits through a partnership with Northern Virginia Community College. Grant Purpose: To support the EMPOwER Generations program, a partnership with College Success Foundation-DC, serving middle school aged girls and their mothers or female caregivers through a two-generation strategy that includes education and training for women, and school and community-based academic supports for girls. YWCA National Capital Area is dedicated to eliminating racism, empowering women and promoting peace, justice, freedom and dignity for all. The organization has more than 100 years of experience in developing, implementing, and evaluating programs for low-income women and their families. Today, it is working to ensure that the majority of women and girls of color in high need communities across the national capital area have the resources and support necessary to achieve personal, educational and professional success. There were no results that matched your criteria.